Ten days into 2011 and my resolve to eat healthier has not yet abandoned me completely, except for the short-lived Ferrero Rocher that I found in my jacket pocket this afternoon. In addition to starting a 21-day yoga challenge today to whip myself into shape, tonight I also decided to delve into my ancestry for a healthy and creative salad – Fattoosh. I don’t normally get much satisfaction from eating salads; they are too light and unfilling, too limp and without personality, and they always leave me with dressing down my shirt – though this Levantine dish which sounds liked a sneeze makes other salads wilt in shame. The ingredient list for this salad reads very much like that for its close relative, tabouli (also recommended), except Fattoosh uses romaine lettuce, ground sumac for tartness and hardened pieces of pita bread crumbled in, originally conceived as a practical use for stale bread besides using it as a middle eastern frisbee. 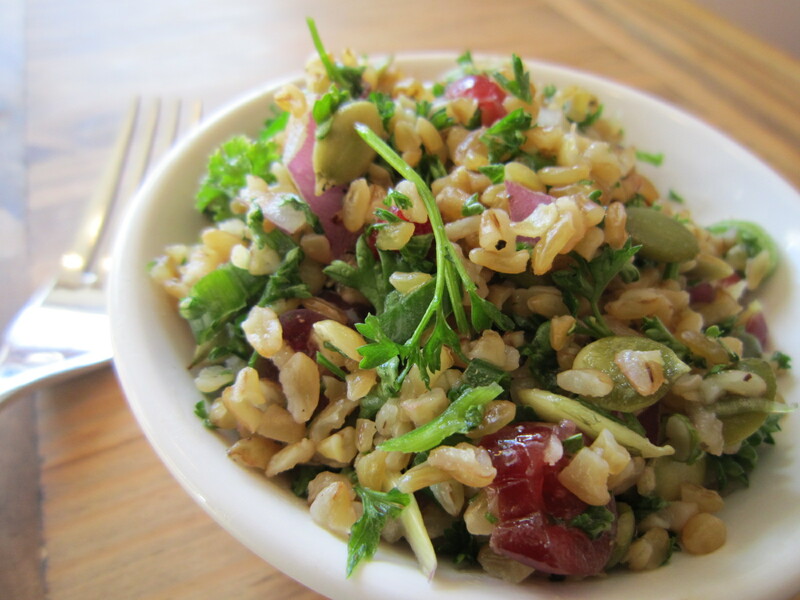 Tabouli was one of the first salads I ever ate when I was young. My grandmother, or Sito in Lebanese, always had a heaping bowl of it ready-in-waiting whenever we dropped by, like her tin of Peek Frean cookies that never seemed to deplete in stock. 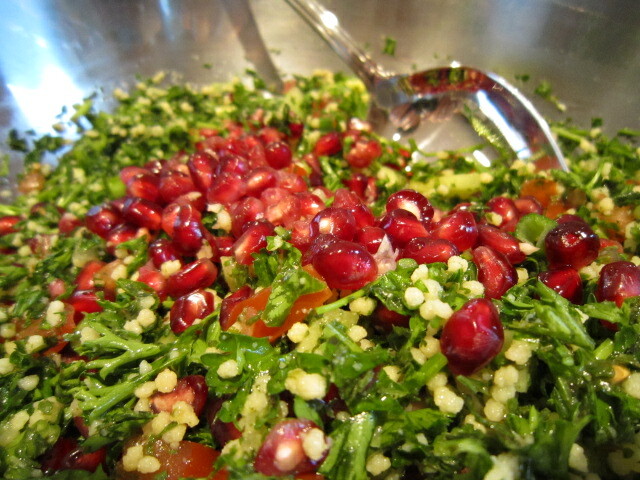 At every holiday dinner or event at the house of a relative, tabouli was also featured on the menu. 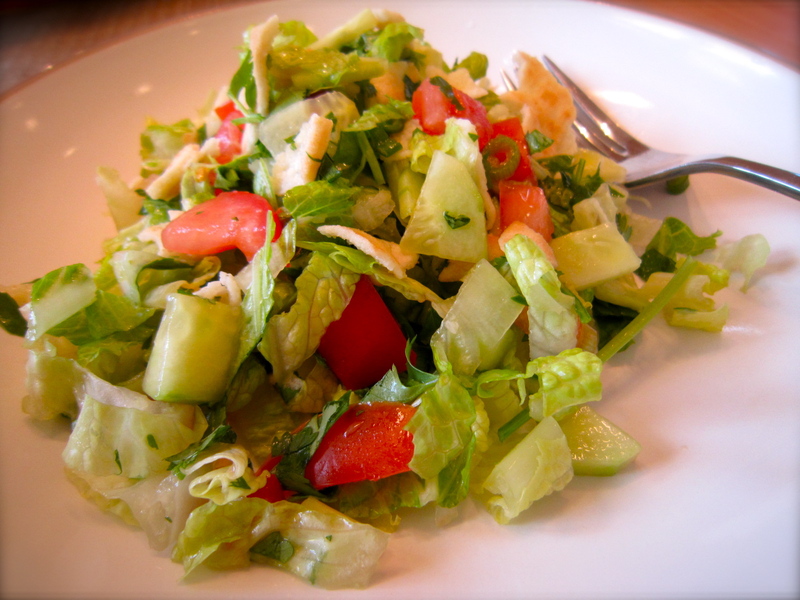 To a child, the salad represented a colourful and visually appealing ensemble of greens and reds; as an adult, it is a healthy and tasty alternative to other side dishes. Every weekend I now make a bowl-ful of tabouli that lasts me for several lunches and dinners during the week; and although it’s probably getting old and tiresome, I typically bring tabouli to every potluck I’m invited to. It’s different that the usual potato salad or nanaimo bars that I used to bring, and is just so easy to make – 15 minutes…and voila!